You’re ready to lane. You’ve bought your items, you’ve chosen your favorite champion, and you’re with a team you trust. You walk up and the enemy laner is nowhere to be seen. You alt-tab to watch Dyrus get camped by 4 enemies. Suddenly you hear sounds coming from your League Client. 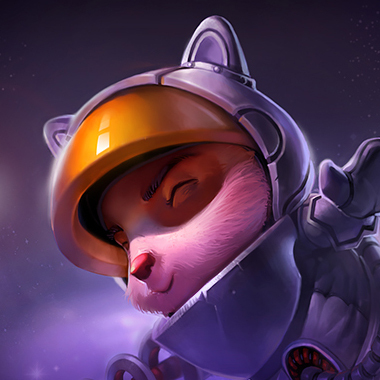 You click back in only to see yourself at half health as Teemo pokes at you. You hear “Minions have spawned” and groan. You recall and come back to lane a minute later. Teemo is level 2. As soon as you walk up to the minions to farm a little, you feel a thousand spikingdarts line your front. You resign yourself to farming under turret. The wave is under your turret. Somehow you had to tank a full wave in order to get it into the right position. You’re low on health. 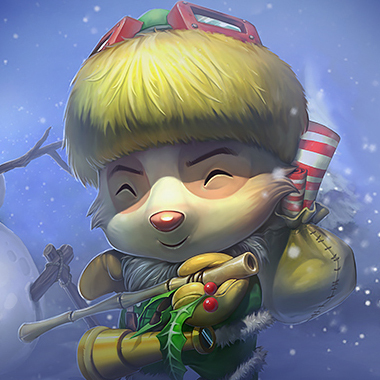 Teemo pokes you with his darts whenever you come near the caster wave, so you resign yourself to only melees. As you try to get the cannon minion, you’re blinded and it dies. In anger, you charge at Teemo and lose a large chunk of your health. You walk back, angry that you’re being harassed like this. You hit a shroom. You enjoy your coffee as you quit the game and play Dota instead. 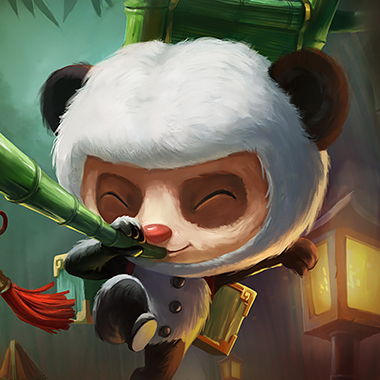 Teemo is a magic using Marksman with powerful zoning tools through his shrooms. In order to stop this tiny Satan from destroying your fun, you need to know how to take advantage of his weaknesses. In this guide, I’ll be teaching you how to turn the tables and make him the one to ragequit. 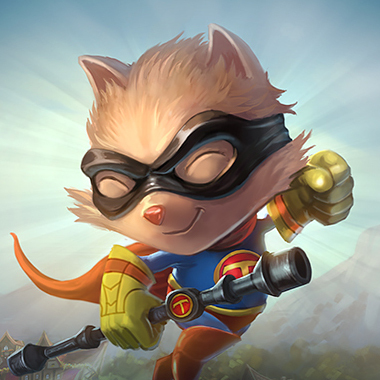 If Teemo stands still for 1.5 seconds, he gains stealth. When he moves or attacks, he gains attack speed depending on his level. If he’s stealthed in a bush, he can move around the bush without losing stealth. Teemo shoots a dart, dealing damage and blinding. Teemo’s basic attacks do extra magic damage and poison damage over time. 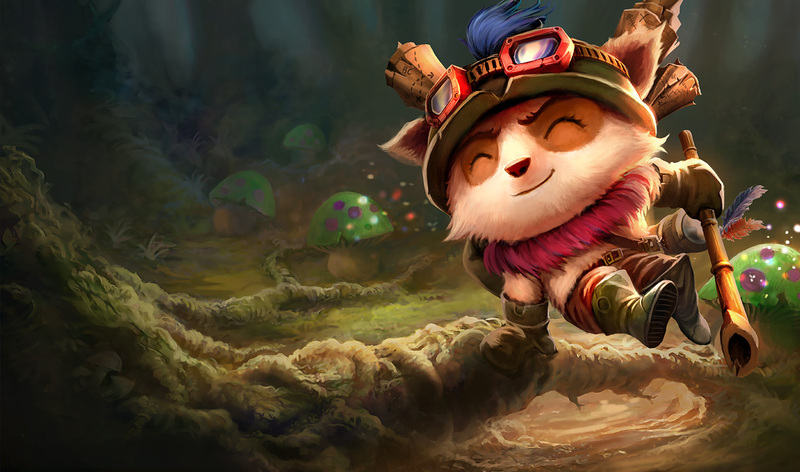 Teemo places a mushroom, which stealths itself. If an enemy champion moves onto the mushroom, it explodes, dealing damage over time and slowing. Never go near a bush. 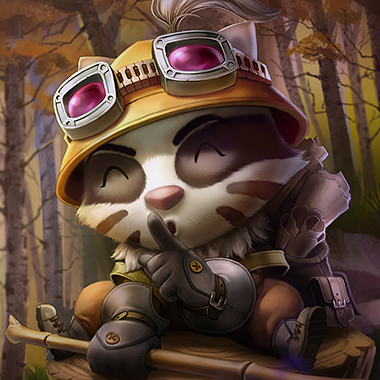 It’ll always have Teemo stealthed inside or a shroom. Either thing is bad. 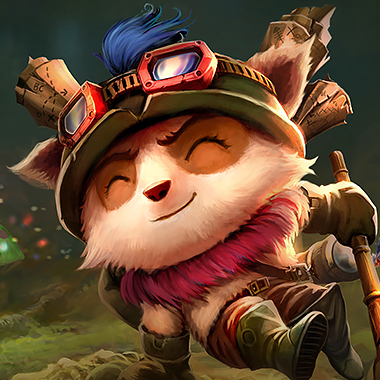 Teemo is vulnerable to gap closers. His Move Quick has a long cooldown. 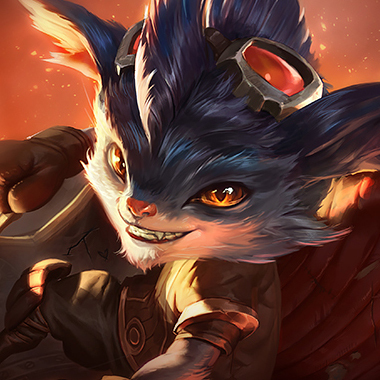 Buying Oracle Alteration will help counter Teemo’s shrooms. Teemo is very vulnerable to ganks pre-6. Beg your jungler for a gank, because that’s going to be the only timeyou’ll be able to get a gank. 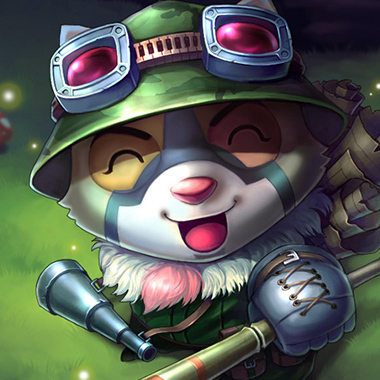 Teemo has some trouble harassing under turret, because his poison attracts turret aggro. 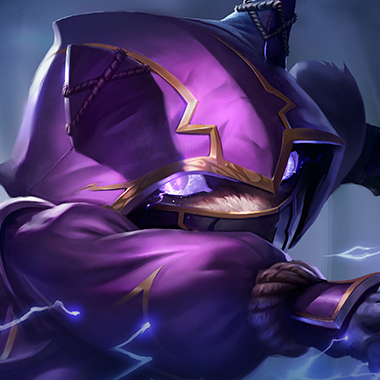 Teemo’s Blind stops all basic attacks, so don’t empower your basic attacks until he casts his Blind, or your effectwill be wasted. 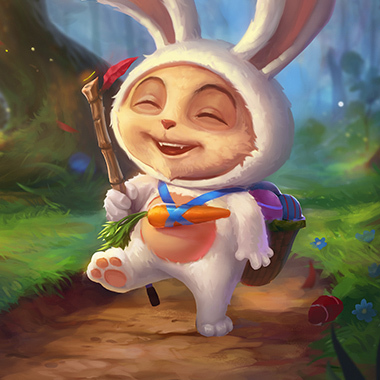 Don’t follow the exact path that Teemo is following, as he’s likely to just be running over his mushrooms. Most of your damage doesn’t come from basic attacks, so he can’t stop your damage with his blind. In addition, your passive can block his auto attacks. Your harass with spears equals his harass, but you have more burst. Get Ignite for this lane, and try to snowball. In midgame you can roam while he’s stuck top. Build Maw of Malmortious first. Your Q range is almost equal to his basic attack range, so if he tries to auto attack you, you can just trade by using your flames on him. You can block his damage with your shield, and you can slow him. In midgame, you’ll be far more useful. Build Abyssal first. You can just run him down. 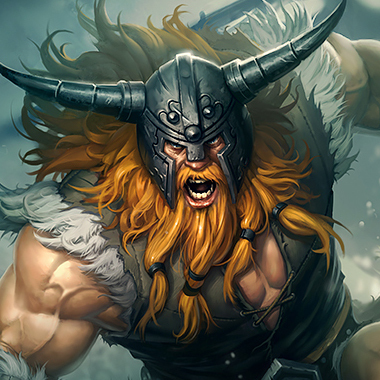 If you’re good at Olaf, you can probably cheese him with the two axes trick early. There’s two paths you can go. 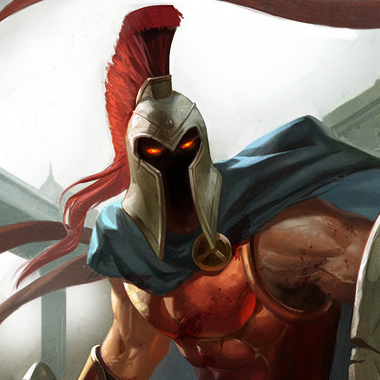 Either max Q first and build Black Cleaver or max W first and get Ravenous Hydra or Spirit Visage and just heal up all the damage he does to you. When you hit 6, go all in, because you get a huge power spike that he doesn’t get. While blinded, just spend the time casting your Q and E.
You can’t be harassed by his auto attacks. You’re much stronger in the midgame. Just farm. Teemo does a lot of magic damage, so magic resistance is really good. Banshee’s Veil is especially good because it stops you from walking through one shroom. Zz’Rot portal is also pretty good as a first item because it blocks a lotof his damage, he can’t push that fast, and it let’s you roam while still farming.